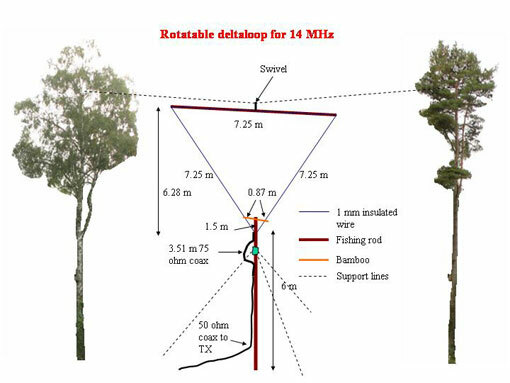 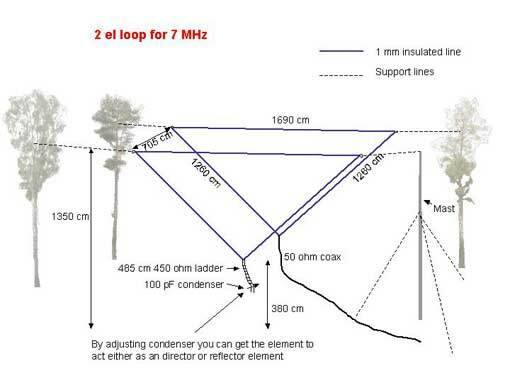 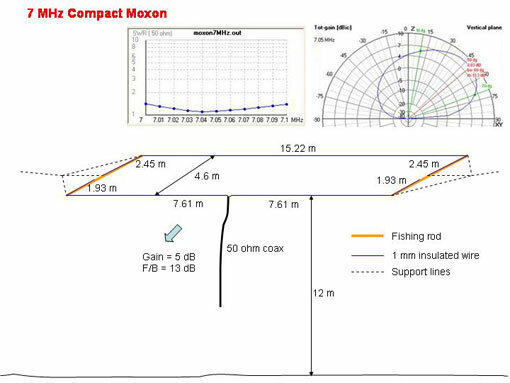 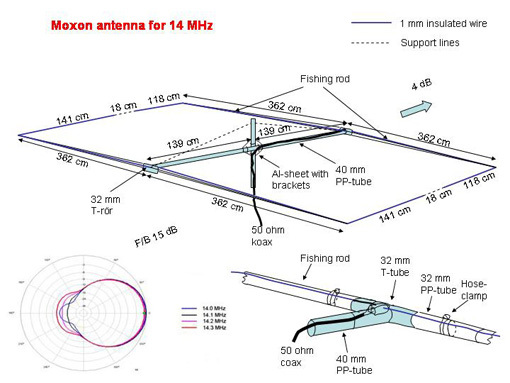 There are some reasons why you should endfeed your vertical Moxon antenna. 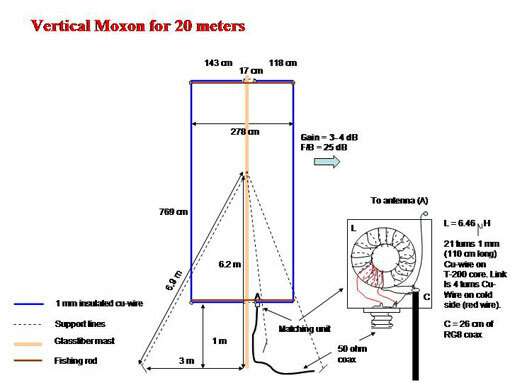 You donґt need a hanging coaxcable from your radiator. 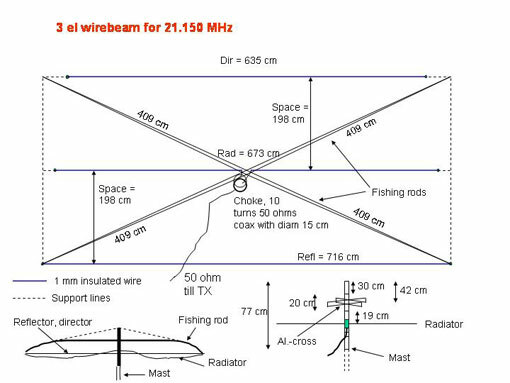 You get an antenna with less windbreak and an antenna in good balance. 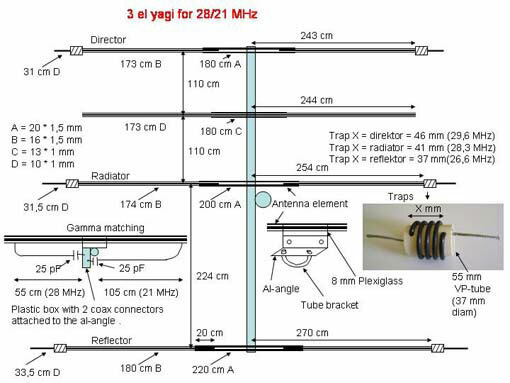 You just need to voltage-feed the radiator with a simple LC parallel resonant circuit like you feed a Bob Tail antenna or a Half Square antenna. 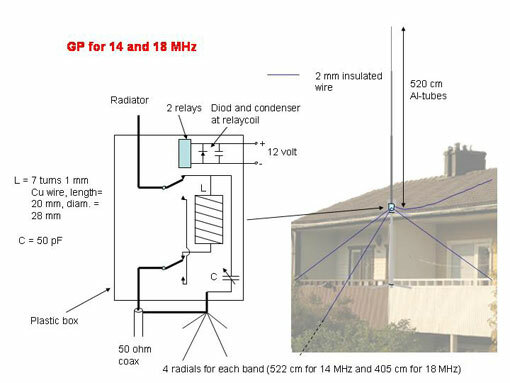 Tired of noise from your house? 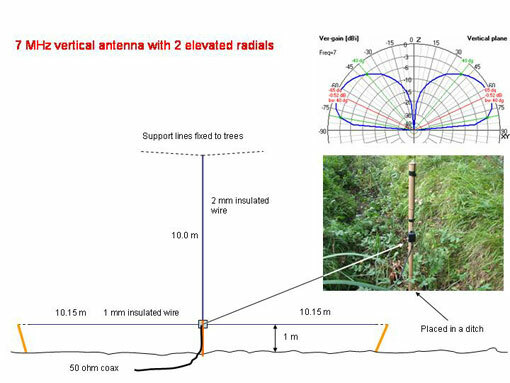 Well, one way to get rid of it is to move your antenna into the wood. 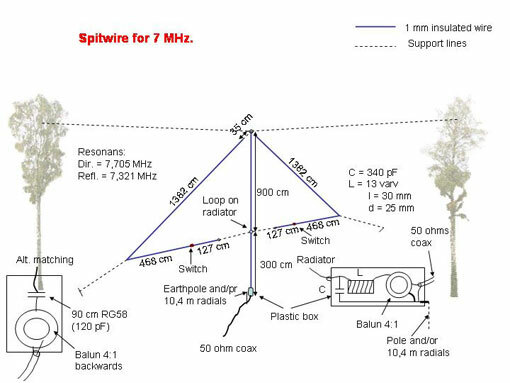 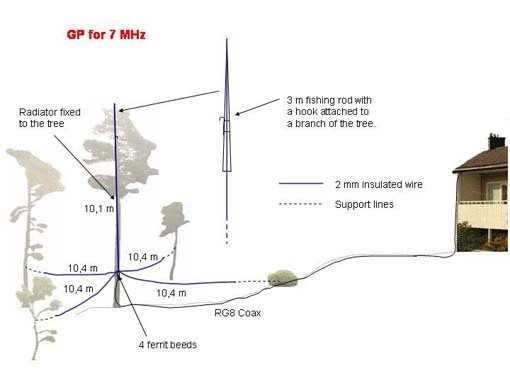 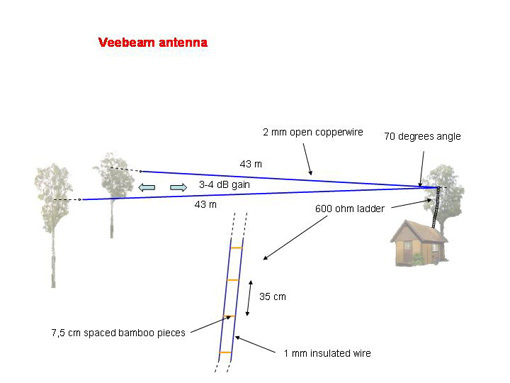 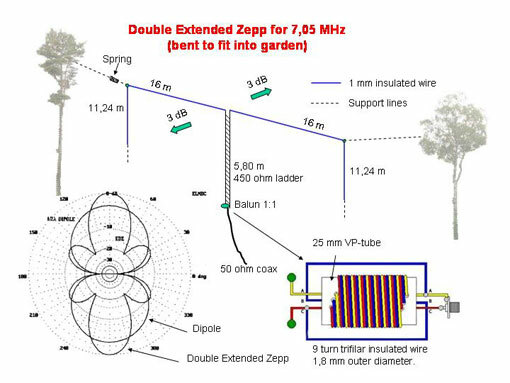 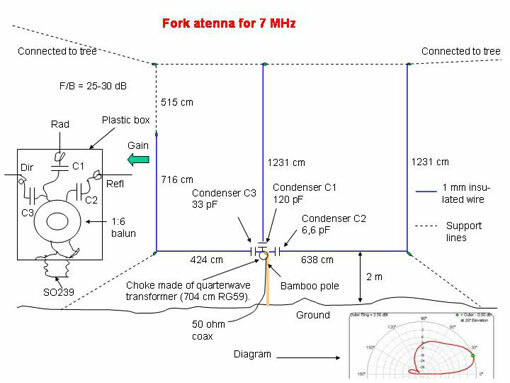 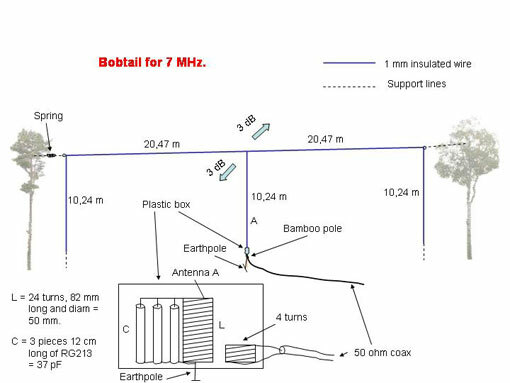 One of the real simple antenna to build and to erect is a vertical dipole. 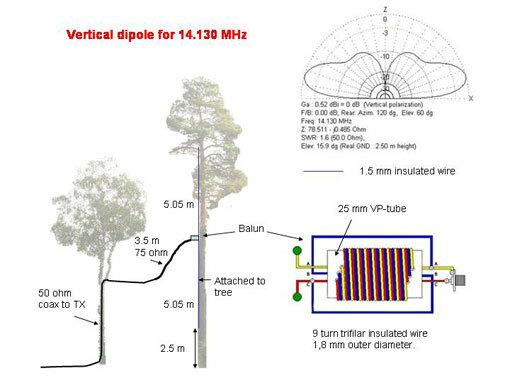 If you use a tree as a tower it is really a piece of a cake. 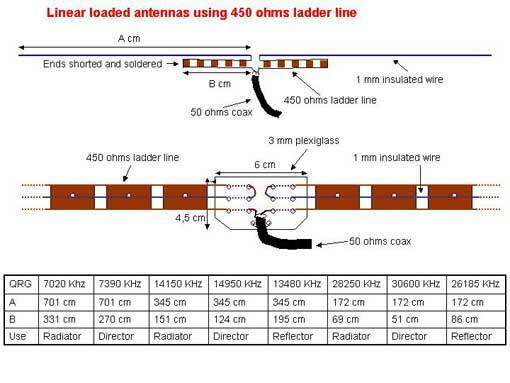 A quater wave electrical length of 75 ohm (3.5 m) is used to match 50 ohm coax to the balun and antenna. 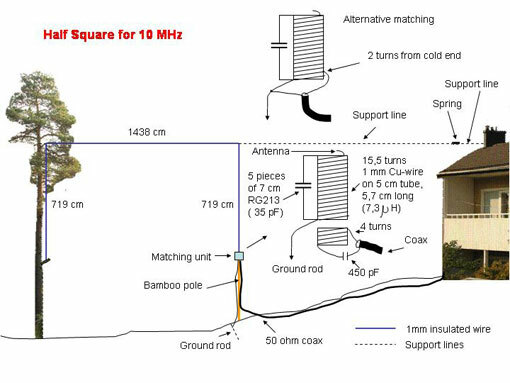 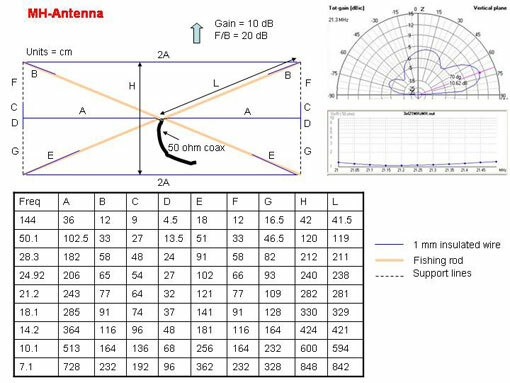 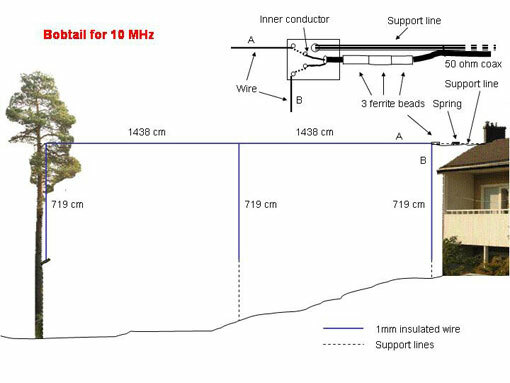 The antenna has low gain but also very low elevation angle, 16 degrees, which is good for long distance QSOґs. 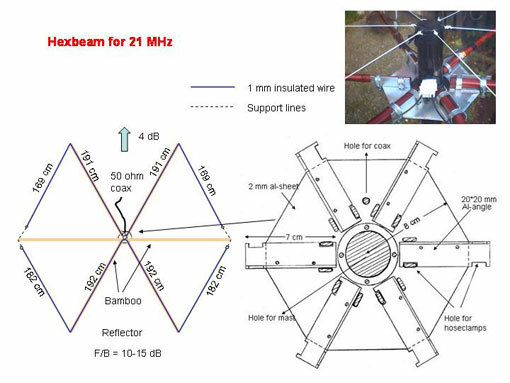 If you are in a hurry getting on the air or donґt want to disturb your neighbours with ugly antennas this antenna can be the solution. 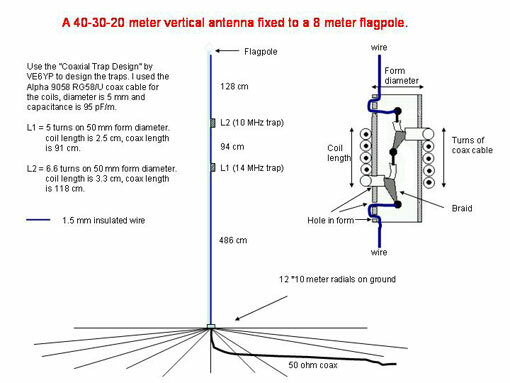 It is a vertical tribander fixed to the flagpole with radials on the ground. 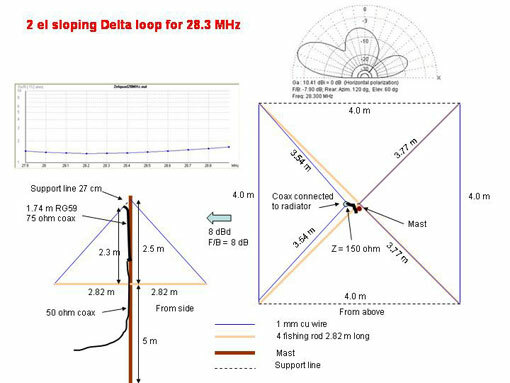 Traps are made of coax cable using VE6YP coax trap program.